& I PLAY THE DRUMS. 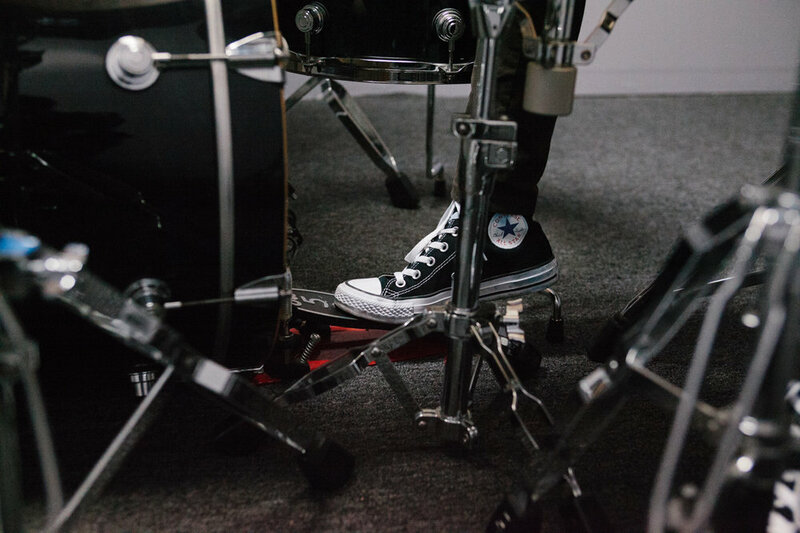 Growing up in New Jersey, Eva Friedman began playing the drums through an odd series events including an unlikely heel injury and a distinct inability to play the trumpet. She dove in head first, immersing herself in as many genres and styles as she could. From marching band to jazz to pop to fusion to rock, every challenge was an opportunity to grow. In 2014, after studying with a handful of the best teachers New Jersey had to offer, Eva packed her bags and relocated to the west coast, moving forward under the tutelage of renowned drum instructor Fred Dinkins. More recently, Eva can be found performing in the 2018 Oscars broadcast during Keala Settle's performance of "This Is Me" from The Greatest Showman as well as playing alongside Ringo Starr and others in 2017's XQ "Come Together" music video. Additionally, she was featured in the June 2018 issue of DRUM! Magazine and Autostraddle's weekly roundup. 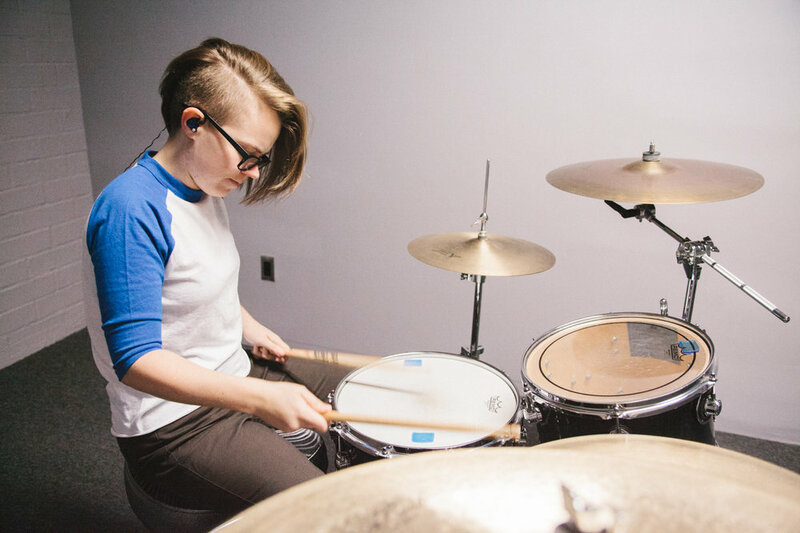 Eva has served both as a sought after studio and live drummer for multiple artists as well as for her own project Staircase Spirits, who were one of Substream Magazine's 2017 unsigned "Substream Approved" bands to watch. In addition, she can be seen playing with BABERS, Shayna Adler, Marissa Barbalato and Tom Sless & the California Dream. 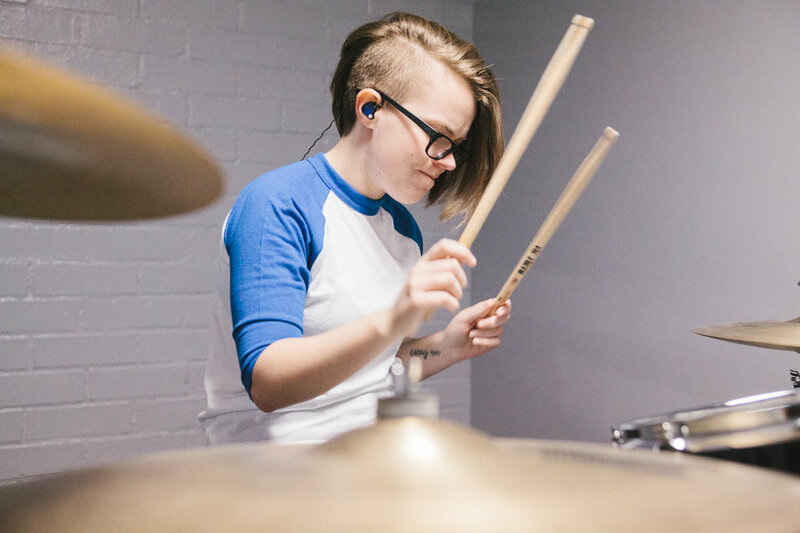 Eva hopes to see the world from behind the drum set and inspire other young girls and women to create space for themselves not only in the world of music, but the world of drumming as well.